We typically eat out on Sundays because it’s a crazy day, and it’s just easier to grab a hamburger or taco for lunch then having to come home and fix a meal. However, knowing that tomorrow is Easter, and every place will be packed, we will be dining at home for Easter Lunch. I’ll be putting a roast on tonight and Mike requested these, and now that I have my new toy, I can finally make these Crescent Rolls. It makes such a big batch that I rarely made them in my old mixer. 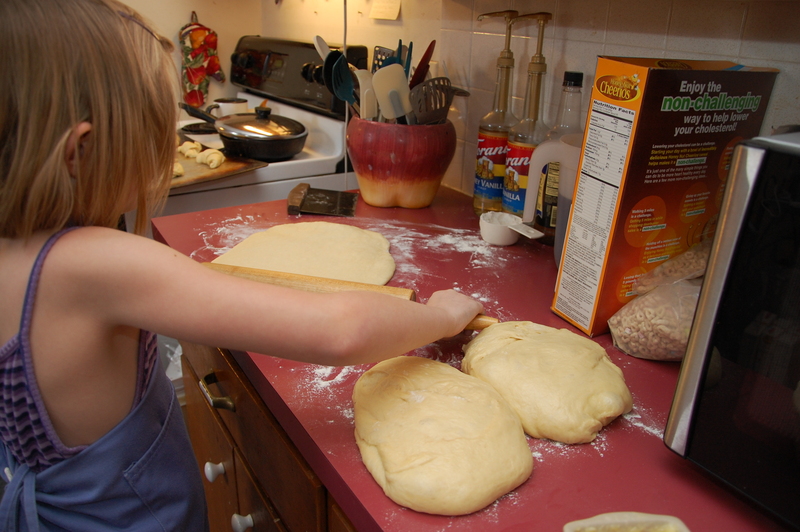 It was just always easier to make other dinner rolls. 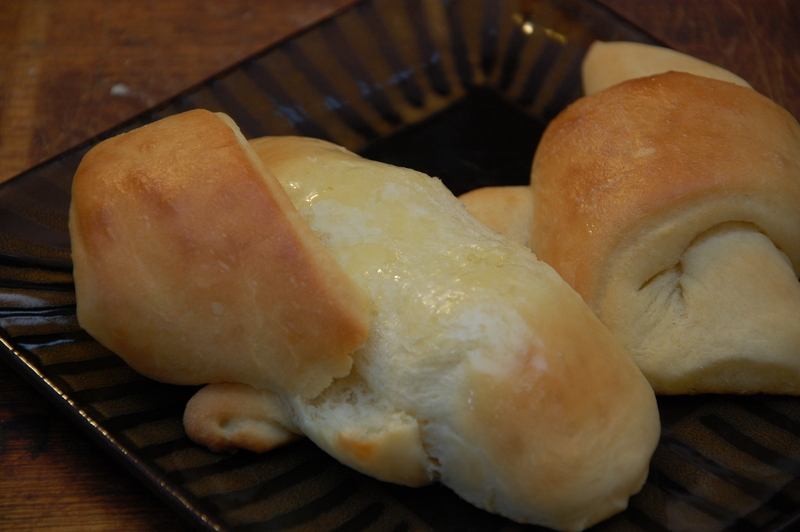 But these babies are oh so yummy….if you like that yeasty, buttery, melt in your mouth kind of bread thing. Which I do. Very much. And you can freeze these rolls before baking and save them for another meal. Bonus! Heat milk, water, and shortening in microwave for about 1 minute or until warm to your wrist. Combine 2 c flour, yeast and sugar in mixer. Add milk mixture to flour mixture and mix for about 5 minutes. Add eggs and salt. Add rest of flour, 1/2 c at a time, to make firm dough. Let dough rise until doubled, about an hour. 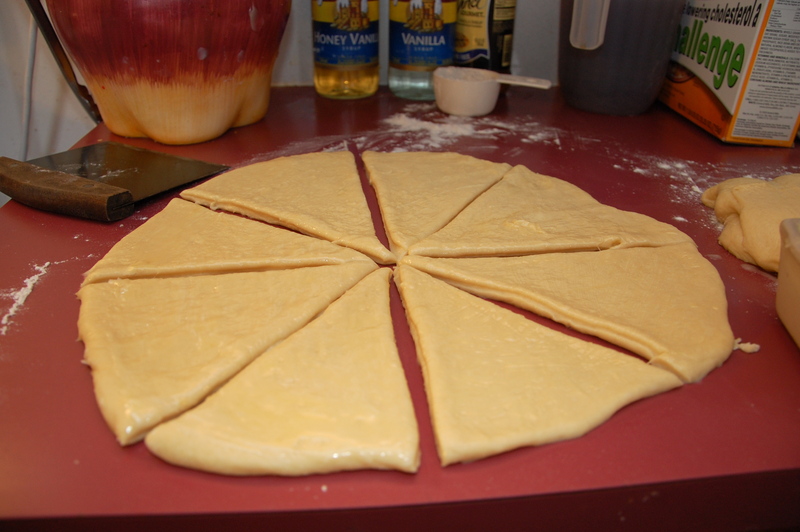 Divide dough into 4 parts. Roll into circles, spread with butter, and cut into 8 pizza-style wedges. 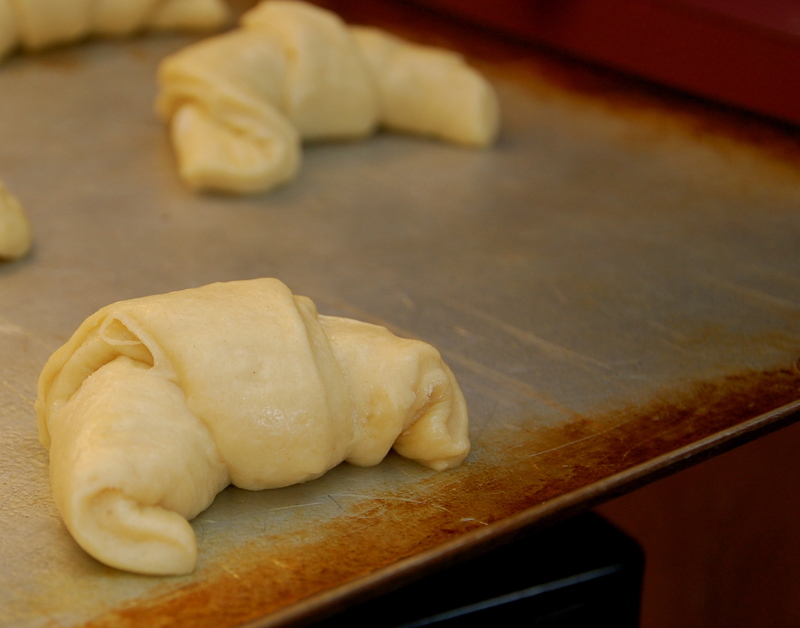 Roll up them up and place on greased baking sheet. At this point, if you’re going to freeze them, just put them right in the freezer. If you’re going to bake them, let them rise for another 30-45 minutes. Bake in 400 degree oven for 10-12 minutes. Lightly brush each roll with butter again. If frozen, let dough rise for about 5 hours before baking. Shara: My mother-in-law made the same kind of rolls and called them “never fail yeast rolls.” Diana, my daughter in Seattle still makes them a lot. Her two boys insist on them Thanksgiving and Christmas. 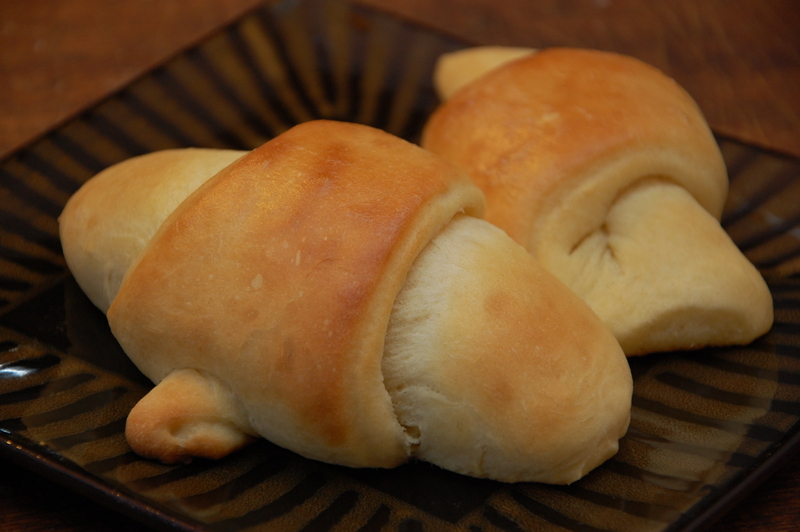 I have become very lazy and buy Pillsbury cresent rolls–not as good as home made, but a good substitute.